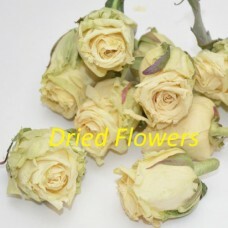 Rose heads can be easily wired to add into floral displays or bouquets for a longer lasting arrangement. Being dried they will last at their most perfect for up to 4 months so are are a great choice if you want to order early and tick off your list. Rose heads can be easily wired to add into floral displays or bouquets for a longer lasting arrang..
Rose heads can be easily wired to add into floral displays or bouquets for a longer lasting arrangem..